We went to Paige's preschool graduation yesterday, or "congraduation" as she calls it. The class offered up a stirring rendition of the Alphabet Song, and then an uber-jazzy take on Old MacDonald Had a Farm before receiving their well-deserved diplomas. I couldn't help but feel a little emotional. I can't believe it's already been two years since we shipped Paige off to preschool--first to Miss Margaret's and then to the real deal. 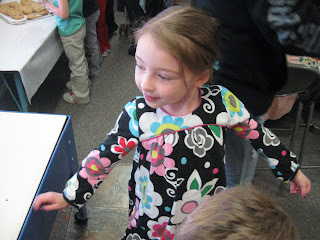 Looking back through my blog archives, I was surprised that I didn't really say much about Paige going to school. We were so worried about it. Worried that she would be scared. Worried that she wouldn't fit in. Worried that she'd have a meltdown if the teacher or the other kids didn't do things exactly the way she wanted them to. 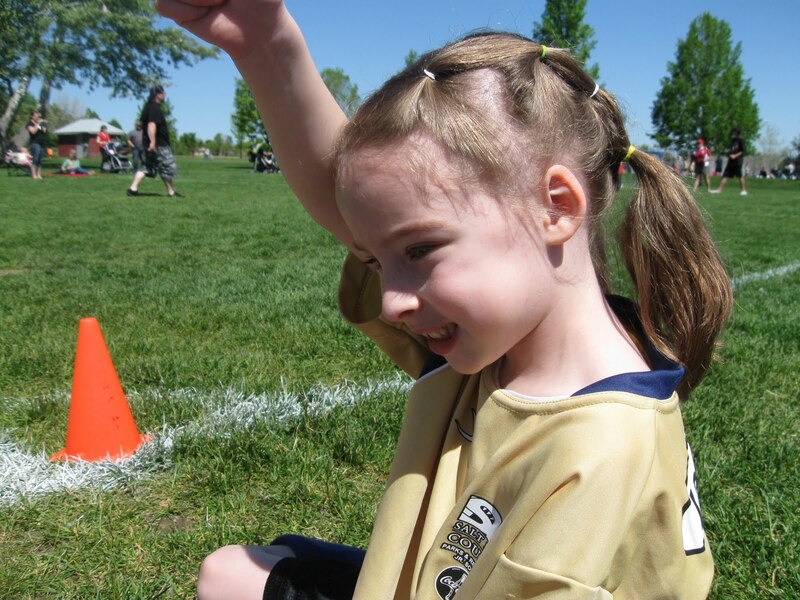 It turns out, preschool has been the best thing that could have happened to her. She's loved learning (and bossing the other kids around a bit) and singing and playing. It's made such a positive difference in her ability to be around new people and new things. Her teacher has been so sweet with her. She's from eastern Europe and has a very thick accent. That's probably why Paige sometimes tells me she sat on the rug by Ree-chard or is going to play with Kait-leen. 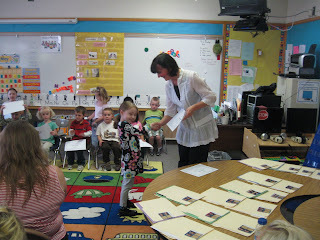 But now preschool is over and it's time to start pre-worrying about kindergarten. The other day, we were having a little family band rehearsal. Curtis was manning the drums, I was on guitar, and Paige was handling vocal and keyboard duties. I love how Paige makes up lyrics as she sings, usually things like "I'm gonna keep on rockin'" and "oh yeah, oh yeah, alright" (she clearly already understands the fundamentals of rock 'n roll lyricism). After we finished up, I asked her what the name of our band should be. Almost without hesitation, she said, "The Hammers." Doesn't get any more rockin' than that. 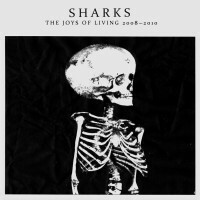 Watch for our debut album in 2013. Remember when I wrote that Eminem review that got the Internet all mad at me?At the time, I was freaking out a bit (in a good way) because that article had more than 2,500 views--which was like 10 times more than any other review I had done. The other day, I wrote my first article for KSL.com, a quick little piece about upcoming shows in Salt Lake. Within a few hours, it had more than 4,000 views. Not because of angry Eminem fans, just because KSL is obviously a zillion times bigger than IN. I'm happy for the exposure, but as far as I can tell, I may not get any money from my Zion-leaning friends. So this may be my first and last submission for KSL. In the meantime, my Eminem review has reached nearly 15,000 views. I believe I was paid $10 for that one. I'll be financially sound and ready to retire any day now. I showed up at work on Monday to find out I'd be doing a little TV interview with Big Budah. I called Traci to ask if she'd record it. "Our kids are freaking out seeing you on TV right now. They love it." When I got home, they were both very excited to tell me that they had seen me. They were also very interested in knowing how I got on TV. I really think Paige was expecting me to explain the science of video recording and satellite transmission and such, but she had to settle for my response of "I dunno. I just was." Can't see the video? Here's the link. After a 10-year hiatus, Ben Weasel and his band are out to prove they are just as punk as they were when they formed the band in 1986. 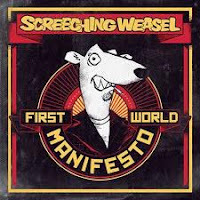 The 43-year-old Weasel still sounds like he’s singing with his nose pinched closed as he spews sarcasm at his punk rock peers, ex-girlfriends, and young poseurs. The tales are tired and cliche, but with all of the three-chord bounce and high harmonies it’s hard to deny their catchiness. A dozen records into the catalog, “First World Manifesto” is far essential, but does serve as a reminder of why so many bands have been influenced by Mr. Weasel over the past 25 years. In the era of the highly-compressed MP3 single, Explosions in the Sky make absolutely no sense. The songs are long, winding, and completely void of vocals. The record clocks in at 45 minutes, with just six tracks. Fortunately, the same things that keep the band from fitting in also allow it to stand out. Over six records, the band has mastered the balance between the meandering, slow build (“Be Comfortable, Creature”) and cacophonous climax (“Last Known Surroundings”). “Take Care, Take Care, Take Care” should only be listened to one way--in its entirety, from start to finish. 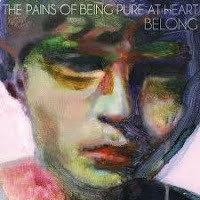 The Pains of Being Pure in Heart have found plenty of inspiration in ‘90s shoegaze alterna-rock. So the choice of producer Flood and mixer Alan Moulder (the dudes that made bands like Smashing Pumpkins and Nine Inch Nails famous) makes perfect sense. Their influence is immediately apparent on the album opener, “Belong,” which is bathed in fuzzed-out guitars. 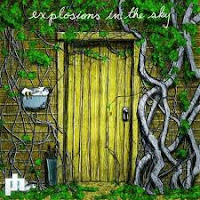 The rest of the record, however, is more lighthearted, with hooks front and center and Kip Berman’s vocals always thin and dream-like. Both directions work well for the band, but “Belong” may have been even more interesting had the band explored more of a balance between the mega-fuzzy and the ultra-light.